Spaceguard: UK manufacturers of well engineered robust workplace equipment. 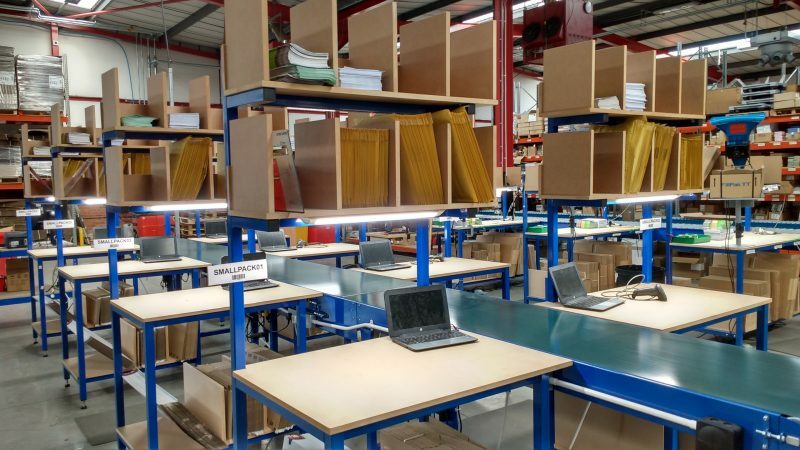 Spaceguard works closely with clients to develop and manufacture bespoke packing and fulfilment lines, designed to be increase productivity, whilst improving ergonomic position for personnel. The packaged goods are placed onto belt to take away to despatch point. 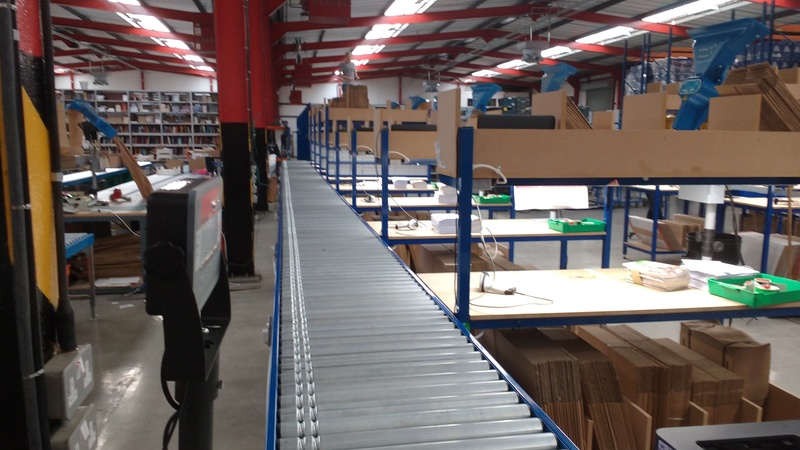 Boxed items – Work with roller conveyors from fulfilment stations, which along with integral weigh stations working directly into warehouse management systems.